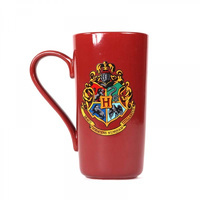 Harry Potter Platform 9 3/4 Mug | Kick off your day in a magical way! Officially licensed Harry Potter merchandise! 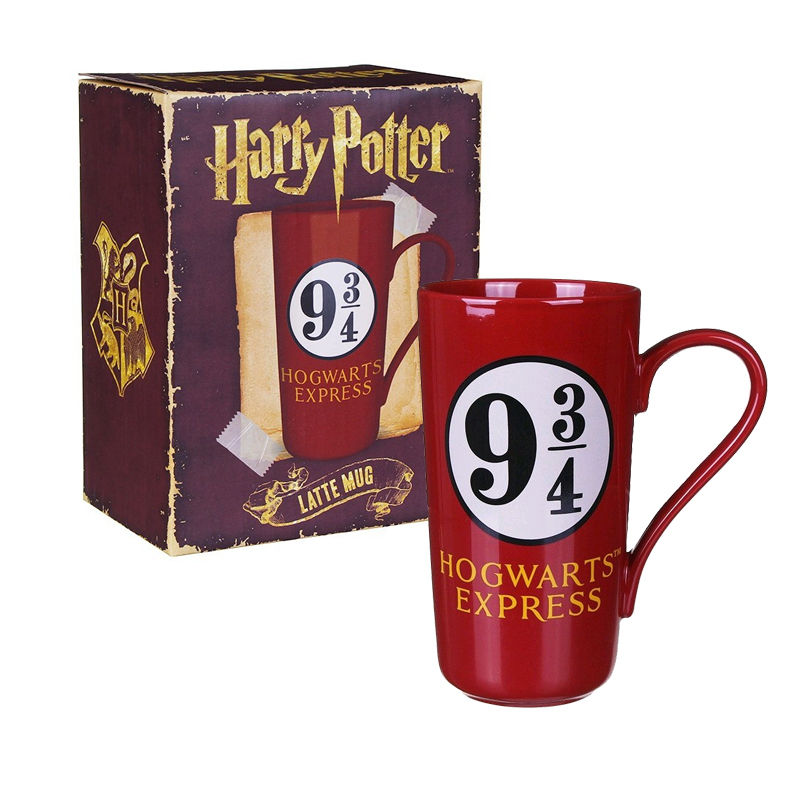 This Harry Potter Platform 9 3/4 Mug is sure to kick off your day in a magical way! Sit back and enjoy a latte or other hot beverage as you wait for the Hogwarts Express to depart from King's Cross station, taking you away from the daily grind and into your favourite world of witchcraft and wizardry! Featuring the Platform 9 3/4 Hogwarts Express logo on the front and the Hogwarts crest on the back featuring all four houses, it's the perfect gift for Harry Potter fans who need some help to power through the day! The bold graphics contrast beautifully with the burgundy background of the mug, while the distressed look packaging will look wonderful on display in your collection. Officially licensed Harry Potter merchandise. Dimensions: 15.5cm (h) x 12.5cm (w) x 8.5cm (d). Holds 500ml.